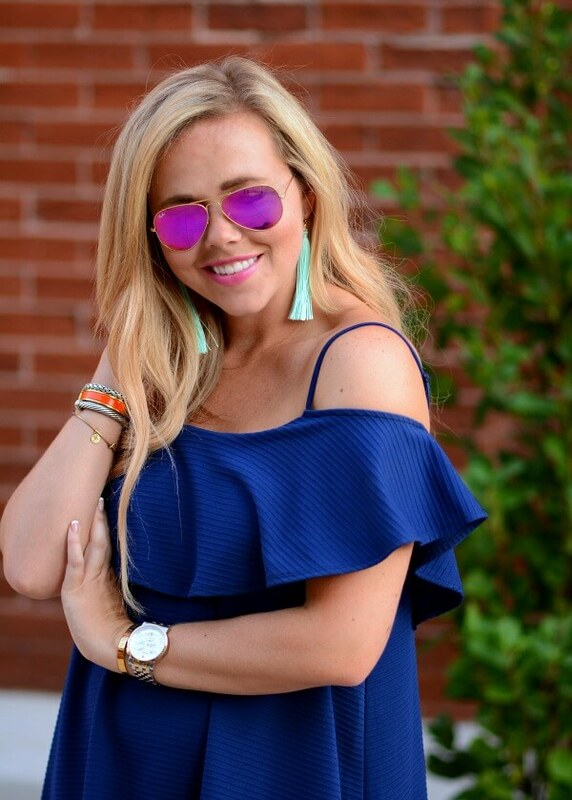 Good morning…I hope everyone is having a great Tuesday and thanks for stopping by today’s Trend Spin Linkup with Walking In Memphis In High Heels, myself and our guest host for the week, Morgan from How 2 Wear It! 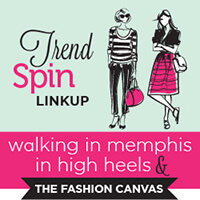 Here are our featured bloggers from last weeks RED trend spin linkup. Today’s trend is TASSLES & POM POMS! This is a trend we are seeing everywhere, especially on accessories! Next week's trend is SUMMER STYLE! This is a pretty easy and open trend next week! Whether you want to show off your new favorite pair of shorts, some strappy sandals or even your new fave swimuit, remember that the sky is the limit! Bloggers : All bloggers will be able to submit their post links via the inlinkz widget below every Tuesday at 8:00am with their take on our trend of the week. This will allow bloggers to show off their personal style, find new followers and meet some great fashionistas! You will also have the chance to be featured on our blogs the following Tuesday (if you make sure to link back to Laura and my blog) ! So grab the button and link up. 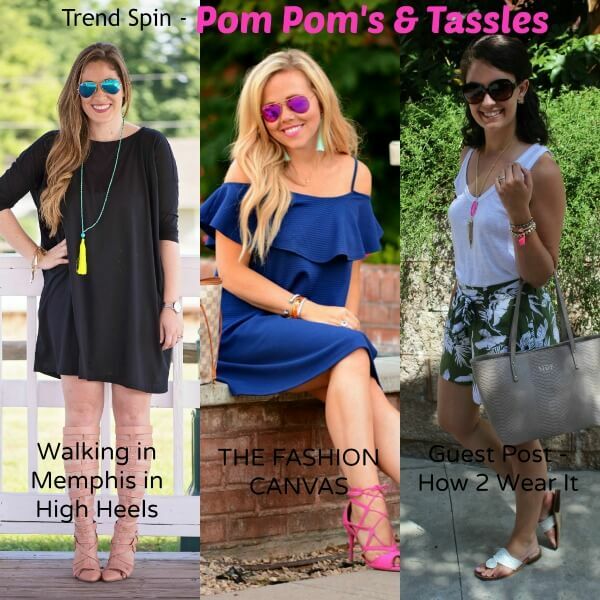 = ) For all bloggers we simply ask that you please follow your 3 hosts – Walking in Memphis in High Heels, The Fashion Canvas, and How 2 Wear It (the first 3 links in the linkup) and provide a link to the Trend Spin Link-up in your post or add the button below to your blog. Don’t forget to stop by everyones blogs to see how they wore the trend today. Leave a comment on my blog, and also on at least 5 other blogs! I went to San Fran with my family a few weeks ago and this was by far my favorite outfit I wore on the trip! Typically I don't show my stomach a lot, but because it was such minimal exposer and I felt like I had a conservative pant and jacket, it really helped balance out the look for dinner. If you were doing a night out instead of dinner, you could always skip the blazer to show off a little more skin. What happens in Scottsdale…stays in Scottsdale! 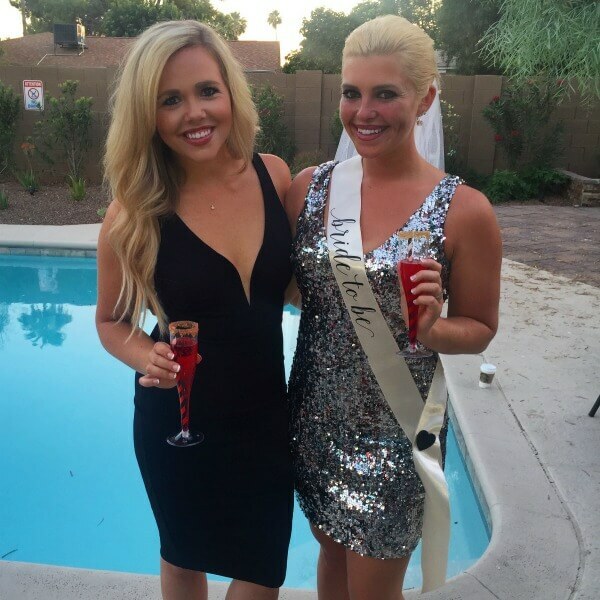 Last weekend we headed down to Scottsdale, Arizona for my best friend's bachelorette party. Fun would be an understatement! It was seriously an amazing time. The food, clubs, pool, evertyhing about it was a winner. I think it is the ultimate spot if you are planning a bachelorette party, a fun girls weekend or even a getaway for you and your significant other. But if you go, make sure to pack the sunscreen, because it is….HOTTTTTTT!!!! Shopbop is one of my absolute FAVORITE places to shop and they are having a MASSIVE sale! Not only are their items marked down 20%, 30%, 40%, 50%, and 70%, but today is the LAST DAY to get an ADDITIONAL 25% off when you use the code : 25MORE at checkout. Don't wait because things are selling out like crazy, and you don't want to miss this! Shop a few of my favorite picks from the sale above.